carbidedies | Everything about Carbide Dies and Tooling! As the US awaits the presidency of President Elect Donald Trump there doesn’t seem to be much middle ground in reactions to his election. This article isn’t going to take a side, but what it will do is take a look at what his presumed policies and people’s opinions of him will do for the manufacturing sector. Doesn’t he mean make the US economy great again when he says “Make America Great Again”? 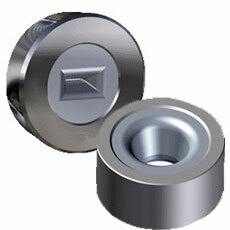 Specifically, we will be looking at the case of carbide dies and tooling as an example. US manufacturing has vacillated between stagnant and losing ground since the 1980’s. Most American’s can’t even remember a time when America was booming in this important sector. Frustration in the lagging industrial strength of the US, and all of its benefits (jobs) was a major factor in pushing Trump into the oval office. Business owners and workers alike feel change is needed. Unfortunately for Hillary, she never seemed to offer that desired change. Owners of companies have chaffed under what is perceived as pour trade deals for two decades while workers have watched their jobs move off shore. For many business owners the idea of a businessman in the oval office has long been desired. I’m not saying they all felt Trump was the one they all wanted, but anything would be better than continuing down our current path. 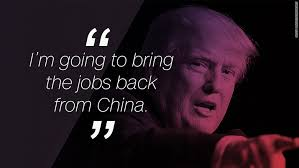 His rhetoric on fixing the US trade deficient and reversing the trend of US jobs being sent across borders rang true to them and their labor force. Not all of them obviously, but I’ll get to the other side in a minute. For these voters, Trumps deal making and tough talk was a welcome change to continued globalization and further neglect of the rust belt. On the other side of the fence, business doesn’t like volatility and Trump offers that in spades. Business flourishes in environments where the future is predictable. Trump business critics point out that a trade war with China will only hurt us both and tariffs on Chinese goods will only move production to other countries like Vietnam, where labor is 20-23% lower than in China. Now for our case study. Carbide dies are an essential part of production in many industries. They are the parts that make parts. Carbide dies and tooling are used to construct everything from nuts and bolts to medical equipment and musical instruments. China has recently entered into the market making lower end products, by making up for a lack of quality with low cost tooling they have gained a foothold. US manufacturers using these products have been short sighted, as it cost more to stop production and change dies than the money they saved on inferior products. However, China still has entered the market in areas where it is easier to mass produce dies. A tariff on these dies would be of some benefit to the US die makers but wouldn’t stop the competition that comes from Japan. Additionally, 80% of the element of carbide is located in China, however tariffs wouldn’t affect imports of carbide since the Chinese won’t export it. They are keeping their supplies to themselves! They are playing the long game when it comes to carbide, a resource that some experts have said the planet will run out of in 50 years! This should make you stop and think for a moment. This is big. The Chinese aren’t looking for the quick dollar, they are shrewd. They know the price will go up so they are holding out while the US rushes to capitalize on all its natural resources. If you have ever played a strategy game where you fight for resources you would know that selling your finite resources early is a bad decision. The US doesn’t have a captain at its helm, it is just reacting to generate the greatest profit immediately. It is the hope of so many in our nations industries that not only can Trump level the playing field but bring the leadership we need to manage our nations resources, both human and natural. Love him or hate him, US industry needs to stick together and maybe even hope for the best under The Donald. Cold Forming Die (Cold Heading Dies) Tungsten Carbide Cold Forming Dies Cold forming, or cold heading, starts with a cold metal slug placed into a die that is hit with a heavy strike to shape it into its desired form. The force from the strike causes the metal to flow into the desired shape inside the carbide die by exceeding the metal’s yield strength. Modern cold forming is commonly used for rapidly forming metal parts such as screws, bolts and many other fasteners. Carbide Drawing Dies (Draw Dies) Drawing dies are typically used to shape wire, rod, bar, and tube. Commonly drawn materials include steel, aluminum, and copper. Tungsten carbide has a high compressive strength allowing it to handle extreme pressure; this makes the material ideal for use in drawing dies. Most major manufacturers use carbide dies in the drawing process. Drawn materials include mild steel, stainless steel and high carbon steel as well as other steel alloys. Softer materials, like aluminum and copper alloys, are frequently drawn as well. The wire drawing process involves drawing wire through a die to reduce the diameter of the wire to the desired size and tolerance, while the volume remains the same. Wires are sized by drawing them through a series of drawing dies, with each die having slightly smaller bore diameter than the one preceding it to gradually reduce the width of the wire. The final die in the series forms the wire to its target size. Tube, or pipe, drawing dies are commonly round, hex or square, but can be made into any shape desired by the manufacturer. The process of drawing tubing is similar to the wire drawing process; however, a mandrel is used to form the inner dimensions of the tubing. The mandrel is inside the tube, or pipe, and situated inside the die. As the tube is drawn through the die it is being shaped on the inside by the mandrel, which establishes the wall thickness and inner diameter. A properly formed mandrel will provide for a smooth surface on the inside of the tube or pipe. Bars and rods are drawn in a similar fashion to wire; only they tend to be much thicker. A wide variety of metals are used in this application, including many steel and copper alloys. A cut-off knife is used to size the rods and bars to length. Extrusion Dies Extrusion dies are typically used in a process where a slug is pushed through the die, forming the desired cross sectional area. A mandrel is used in the process if the application is for tubing, or pipes. Extrusion can be performed on a wide variety of materials and at various temperatures to obtain the desired properties of the extruded product. Materials that can be formed with extrusion dies include steel, copper, aluminum, tin, lead, nickel and even plastic. Products formed through extrusion operations include pipe, wire, rods, bars, tubes, and welding electrodes. Carbide Shaving Dies Shaving dies are typically used to remove surface defects that are produced during the drawing process. The shaving process can be used on steel alloys, aluminum alloys, and copper alloys. 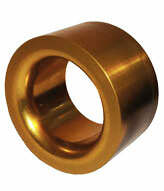 Carbide Swaging Dies Swaging dies are generally used in a manufacturing process called rotary swaging. The rotary swaging process is usually a cold working process, used to reduce the diameter, add a taper, or make a point to a round work piece. It can also provide internal shapes in hollow work pieces with the help of a mandrel. Thanks to Raven Carbide Die for the Images. US manufacturing up, Chinese hitting the breaks. Chinese factories slowed down fueling expectations of more monetary stimulus. U.S. manufacturing growth also rose despite a stronger U.S. dollar and the threat of an increase in interest rates from the Federal Reserve. The EU Composite Flash Purchasing Managers’ Index (PMI) from data vendor Markit, jumped to a 54.1, nearly a four year high, from 53.3 in February. The surveys pointed to 0.3 percent EU economic growth in the first-quarter, Markit said, matching the previous three months’ but coming up short of the 0.4 percent median forecast in a poll taken earlier this month by Reuters. The ECB started buying more than a trillion euros worth of bonds in March in a quantitative easing effort. A sub-index measuring euro zone prices jumped to 49.0, the highest in eight months. It has been below the break-even level of 50 for three years, suggesting inflation will not return any time soon. Oil prices have dropped significantly over the course of the past nine months and inflation rates across the world have followed suit. Signs that the EU economy was gaining momentum such as, European shares and the euro rose up on the data, but a slowing in China kept oil and commodities-linked assets under pressure. Both the US dollar and corporate stocks have risen in recent months. China’s flash HSBC/Markit PMI dropped to 49.2 in March, an 11-month low, this is below the 50 level that separates growth from contraction. First-quarter economic growth in China is expected to slip below the government’s target of 7.0 percent, commonly seen as the level needed to keep employment steady. Leaders in China are willing to allow a slower economic growth as long as employment stays strong. But the latest PMI employment sub-index dropped for a 17th straight month, hitting its lowest since the depths of the global financial crisis. The U.S. manufacturing sector has continued to grow, and reached a five- month high in March. The preliminary U.S. Manufacturing Purchasing Managers’ Index rose to 55.3, its highest since October, when the final PMI was 55.9. The flash reading of the index measuring new orders also rose to 56.4 in March compared to 55.8 in February. Employment growth also rose in March from February. Cold forming is a metal working technique used for rapidly forming steel parts such as screws, bolts and many other fasteners. Cold forming, also referred to as cold heading, uses a heavy strike against a cold metal slug to shape it into the shape of a Cold Forming Die. The force of the strike exceeds the metal’s yield strength, causing the metal to flow into the desired shape inside the carbide die. The first step in colds forming is cutting the slug, also called a blank. Round wire from a coil is cut to the exact size needed. It is critical that the volume of the metal slug matches the volume of the finished product since cold forming process doesn’t add or take away any materiel. After a metal slug is prepared the slug is then placed into the carbide die by the cold forming machine (or header) using “fingers”. 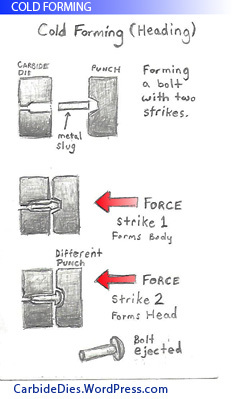 The slug is then hit by one or more strikes (see figure 1). The carbide die and punch work together to create the new form. The force of the strike is great enough to cause the metal to momentarily become a fluid. This actually creates a stronger part than if the grain of the metal was cut into in order to form the desired shape. Often a progression of dies is used to achieve the final form desired. Each of these strikes are done at a different station and they progressively change the product into its final form. Most cold forming machines utilize either one or two strikes. After the part is formed an ejector pin is then employed to pop it out of the machine. This, like the rest of the operations completed by a cold heading machine is completed at a rapid pace. Cold heading machines work at such a high rate of speed that the operations are invisible to the naked eye. Additional processes can be completed by these machines as well, for example, trimming, piercing and sharpening. Obviously, this is a very brief description of cold heading and cold forming. We will continue with more in depth articles in the future. business climate has forced companies to find remedies ranging from outsourcing of production overseas (often compromising the quality of products) to seeking tax incentives that entice companies to stay local. Automation is another solution that is helping to give companies a competitive edge without the need to outsource work. Also, more automation opens up new job opportunities, as more businesses are now in need of skilled technical workers to perform jobs associated with new automated CNC (computer numerical control) processes. These skilled technicians will understand how to program CNC equipment as well as load parts and oversee their operation, they won’t be just button pushers. An increase in new CNC positions is showing up in current job listings while schools and training facilities are in turn responding to meet the increase demand for these newly sought skills. 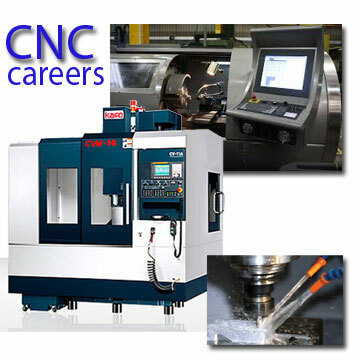 Jobs available to workers with knowledge of CNC systems include: CNC Machine Tool Programmers and Operators, Process Engineers, Welding Engineers, CAD/CAM Programmers, Tool Makers, Die Makers and Lathe or Mill Operators. 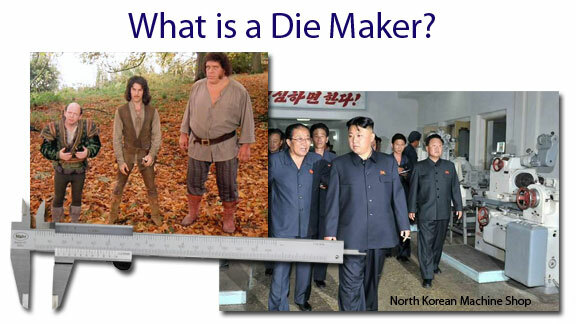 What is a Die Maker? So are these die makers? Tool and die makers are machinists in manufacturing industries who make jigs, fixtures, dies, molds, machine tools, cutting tools, gauges, and other tools used in manufacturing processes. A machinist may be called by various names depending on which area of concentration a particular person works in, such as tool maker or die maker. Tool and die makers work primarily in tool room environments but more often are in a workshop environment. They are skilled artisans who typically learn their trade through a combination of school and hands-on instruction, with a long period of on-the-job training. Science and art are mixed into their work as well as some engineering concepts. Mechanical engineers and tool and die makers often work closely to design parts and make sure all facets of the job can be completed properly. Both careers involve some level of talent in both creativity and math-and-science. Being a job-shop machinist can combine aspects of toolmaker and production machinist. Some will work solely as machine operators, while others may switch fluidly between tool room tasks and production tasks. Working from engineering drawings, toolmakers begin by cutting out the design on the raw material, then cut/grind the material to the specified size and shape using manually controlled machine tools (lathes, mills, ID and OD grinding machines, and jig grinders), power tools (die grinders and rotary tools), and hand tools (diamond files, diamond powders and honing stones). Materials used in tool and dies range from steel to tungsten carbide. Tool and die makers have increasingly had to add computer skills to their daily work, since the addition of computing in the manufacturing fields (CNC, CAD, CAM, and other computer-aided technologies). Today’s tool and die makers are often required to have mastered all of the traditional skills plus substantial digital skills. The combination of hands on skilled labor and digital knowledge make tool and die production a formidable task to master, and one that pays well if mastered! Tool making basically means making tooling used to produce products, or making parts that make parts. Frequently made tools include metal forming rolls, lathe bits, cutters, and fixtures. Due to the unique nature of a toolmaker’s work, it is often necessary to fabricate custom tools or modify standard tools. Die making is a sub sect of tool making that focuses mostly on making and maintaining dies. This often includes making punches, dies, draw dies, extrusion dies and carbide dies. Precision is the key to die making. When making dies there will be extremely close tolerances that the machinist must keep the parts within, as dies are usually precise manufacturing tools. Punches and dies must maintain proper clearance to produce parts accurately, and it is often necessary to have die sets machined with tolerances of less than one thousandth of an inch! A veteran machinist may be called upon to perform all of the above jobs, and the skills and concepts involved often overlap, which is why “tool and die making” is commonly viewed as a single field. Many tool and die makers begin an apprenticeship with an employer, sometimes including a mix of classroom training and hands-on experience. Prior knowledge of mathematics, science, engineering or design and technology can be valuable to any new machinist. A lot of tool and die makers work a 4-5 year apprenticeship program to achieve the status of a journeyman tool and die maker. Today’s employment opportunities often differ in name and detail from the traditional arrangement of an apprenticeship. The terms “apprentice” and “journeyman” are not always used, but the idea of a period of years of on-the-job training to master the field still applies for new machinists. In the United States, tool and die makers who graduate from NTMA (National Tooling and Machining Association) take 4 years of college courses as well as work 10,000 hours in order to complete their apprenticeship. They are also accredited through the U.S. Department of Labor. A jig and fixture maker is a type of tool and die maker/toolmaker. The difference between jigs and fixtures is that a jig is what mounts onto a work piece, and a fixture has the work piece placed on it, into it, or next to it. The terms are sometimes used interchangeably. An engineer often advises them. Knowledge of various materials is necessary beyond standard wood and metal, such as plastics. Jig/fixture makers also can create, design and build fixtures without engineering plans/blueprints. Jig/fixture makers gain hands on practical experience while monitoring and making alterations as the engineer improves the manufacturing process. They also can be required to make these adjustments without the help of an engineer, depending on the size and resources of the company. Some Jigs and fixtures require electronic and pneumatic actuation, which will involve knowledge/training in these fields as well. Properly built jigs and fixtures reduce waste by insuring perfectly fitting parts, reducing adjustments needed to fix the problem. Jigs and fixtures can be as big as a car or be held in hand. Production needs dictate form and function. Jigs, fixtures and gages are necessary to maintain quality standards for repeated low and high volume production demands. The continued advancement of computerized design and control technologies, such as CAD/CAM, CNC, PLC, and others, has reduced the use of jigs in manufacturing. However, all the computer run machines need some sort of clamping fixture to hold parts for production runs. For example, a drill jig is not needed to guide drill bits to the hole centers if a CNC is used, since it is Computer Numerically Controlled. However, fixtures are still needed to hold the parts in place for the operation needed. Jigs are currently needed in many areas of manufacturing but mainly for low-volume production. Where are Carbide Die Companies Located? Carbide Die Makers – What they make, there compensation and job outlook for die makers. Since the end of the Great Recession, one of the brighter parts of the U.S. economy has been the manufacturing sector. 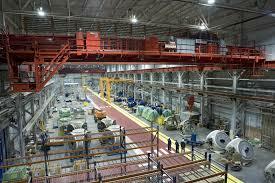 American manufacturers added $1.7 trillion to the U.S. economy, about 6.6% higher than the previous year, in 2010. The rest of the economy went up about 2.2%. As surprising as it may be, the United States manufactures more than any other country, including China. Also, in 2000 the U.S. factories reached their all time greatest output, a record they are close to reaching again much like they did in 2007. 2011 brought about some 120,000 new factory jobs. This was the first year-over-year increase in manufacturing employment since the late 1990’s. Despite this growth in manufacturing jobs, 11.8 million Americans work in manufacturing today; this is 40% less than the peak in June 1979. Looking back further, in 1953, 32% of American workers were employed in manufacturing. 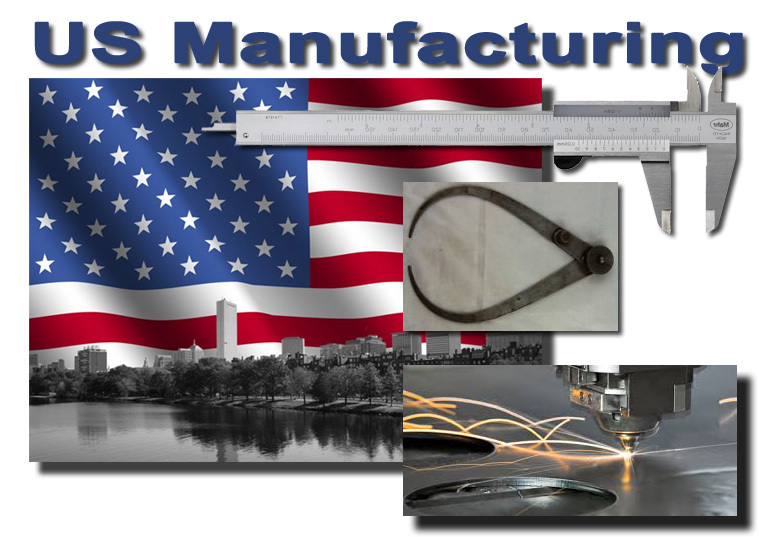 In today’s age, 9% of Americans are in manufacturing, a significant difference from the peak of American manufacturing. American factories have become much more productive in terms of output per hour, in the past three decades. This production increase is three and a half times higher than production was in 1979. The increase in production is helped by the offshoring of low-value jobs and the automation of factories. These productivity increases are more pronounced during recessions, as manufacturers lay off workers for the purchase and use of machines to increase production as the economy grows and demand rises. U.S. output increases and American manufacturing competing with low-cost operations in developing countries is good for the economy, but when it comes to new jobs and avoiding another recession, factories are not the answer.